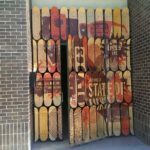 In a marketplace where creating first impressions is absolutely vital, your hospitality graphics designs must reflect your core values simply and effectively. Creative graphic design isn’t just about style and coloring: it’s a means of delivering the essence of your brand and communicating your marketing messages to the right people, in the best media, and at the right time. 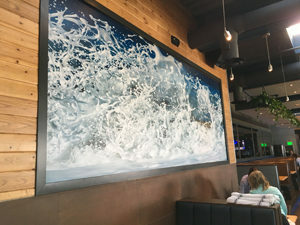 We work hand-in-hand with interior designers to help them create unique hospitality signage graphics artwork. We believe that great design can transform a space into something much more. 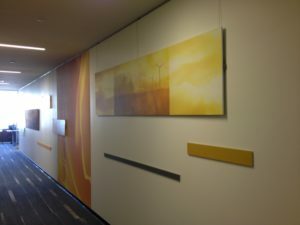 Whether your need is one replacement room number or a complete signage program for multiple locations, we are your single source solution from wallpaper, window frost, canvas wraps, headboard graphics, elevator wraps and so much more. 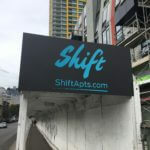 We have served the hospitality industry for more than 40 years, helping guests enjoy their “home away from home” with our beautiful, durable signs that always live up to your brand expectations and enhance your decor. Let us be your partner in providing guests the 5-star experience you want them to have.